Save Time. Add Convenience. Maximize Space. Supply storage for corporate businesses is an evolving cycle. 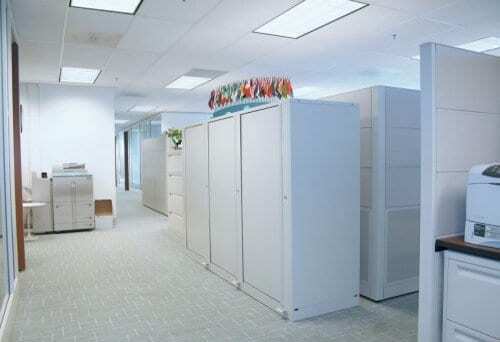 Staying competitive with new trends for the right kind of office layouts is tricky. However there are two supply storage attributes that never go out of style – staying compact and organized. 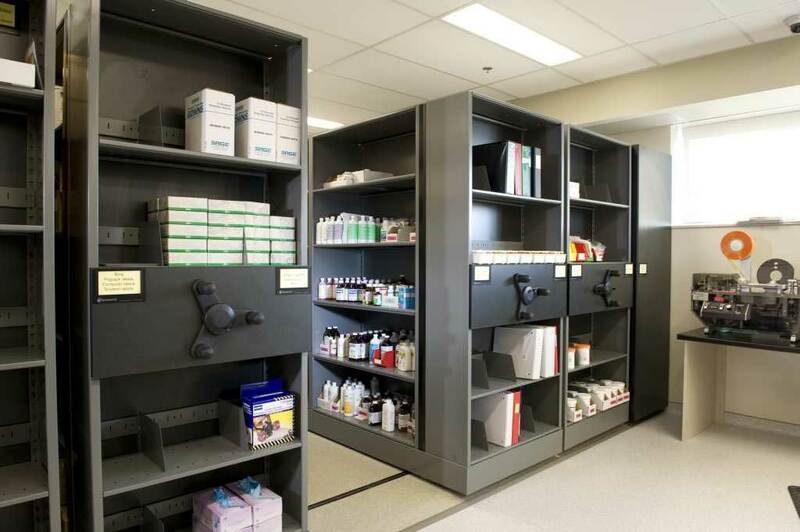 By compacting and organizing your supply storage, you will be able to create far more space in your office, which gives you a competitive advantage when new trends come your way. 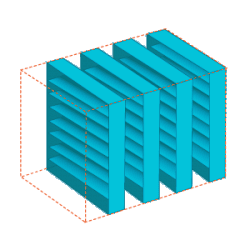 With products from TMI, Spacesaver, Hamilton Sorter, and other trusted manufacturers, we want you to know and understand one thing: You don’t need a big budget to make a big impact. 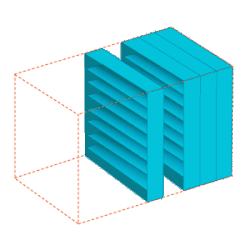 We take your existing filing cabinets, shelving systems, or storage racks and place them on mobile carriages to eliminate all aisles but one. Placing your storage on mobile carriages will condense your supply storage into half the footprint and allow the other half to be utilized for other aspects of your work. We offer four types of high-density mobile systems. Take a look at what would work best for your space. Standard: Our most widely-used high-density mobile option offers a variety of controls and safety options. Ideal for all spaces, including offices. Low-Profile: Is your business thinking about relocating, expanding, or remodeling? Wheelhouse is paired with a unique rail system, which makes it possible and simple to reconfigure and relocate. Archival: Looking to put your supply storage at a small off-site building or maybe a stock room in back? X-Tend offers a floor to ceiling system to compact your storage further. 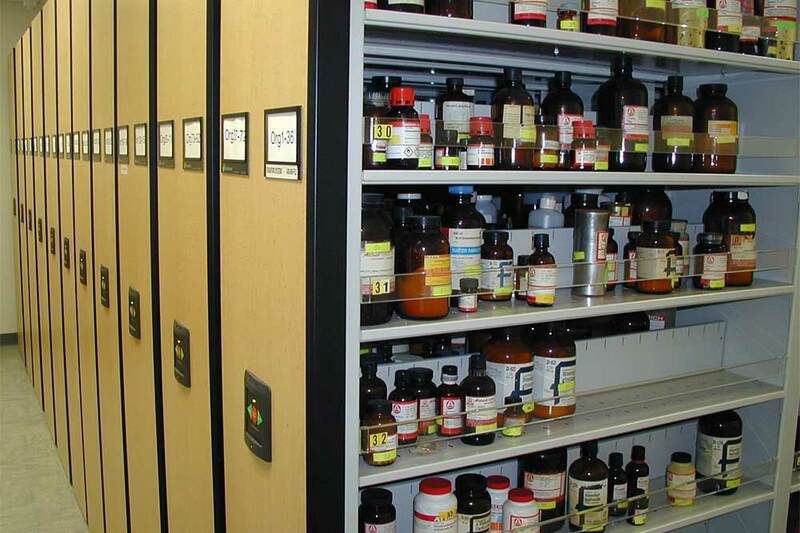 Heavy-Duty: If your business stores heavy supplies, ActivRAC is the right system for you. Our heavy-duty option offer 7,000 to 30,000 pounds of storage per carriage. It’s important for today’s workplace environments to be both aesthetically pleasing and deliver the right amount of organization your team needs to be productive. 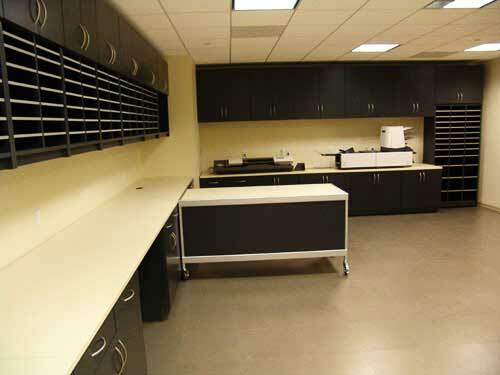 In partnership with TMI Systems and Hamilton Sorter, we can provide manufactured and modular casework options that are versatile and help streamline your corporate documents, folders, supplies — and all of that other “stuff” that just seems to pile up day after day. 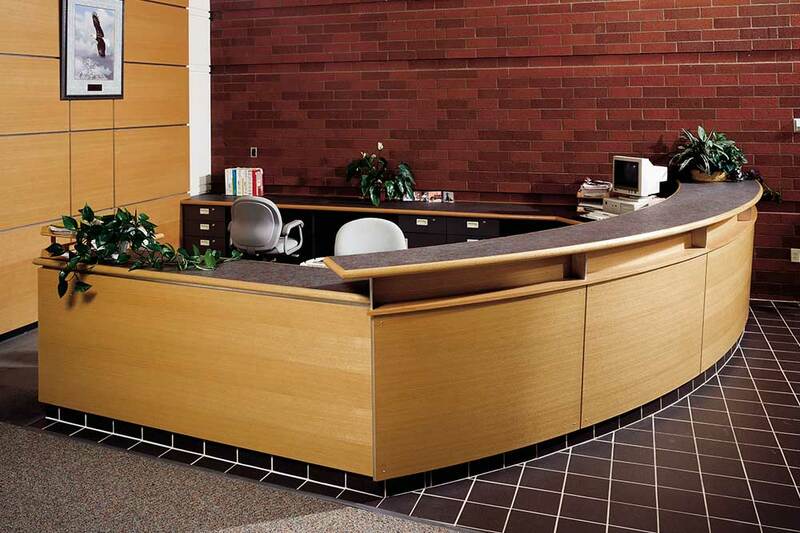 From office reception areas to desk spaces, enjoy cleaner, smarter organization in your workspace. There are fewer places in a corporate office that can get congested (and messy) quicker than your mail and copy room. Don’t let important documents, supplies, and mailings get lost in the mix. 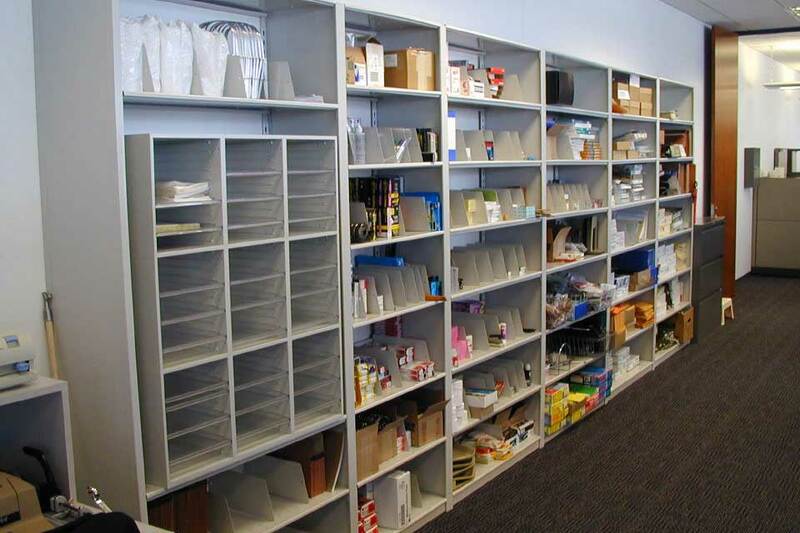 With our mail center and office utility storage solutions, your mail and copy spaces will be efficient and clutter-free. 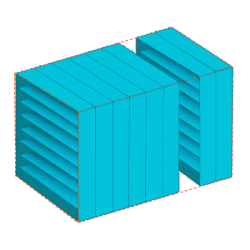 The Times-2™ Rotary is a compact storage cabinet system that rotates for fast access from either side and gives double the depth for more multimedia storage, taking up less space than traditional cabinetry. 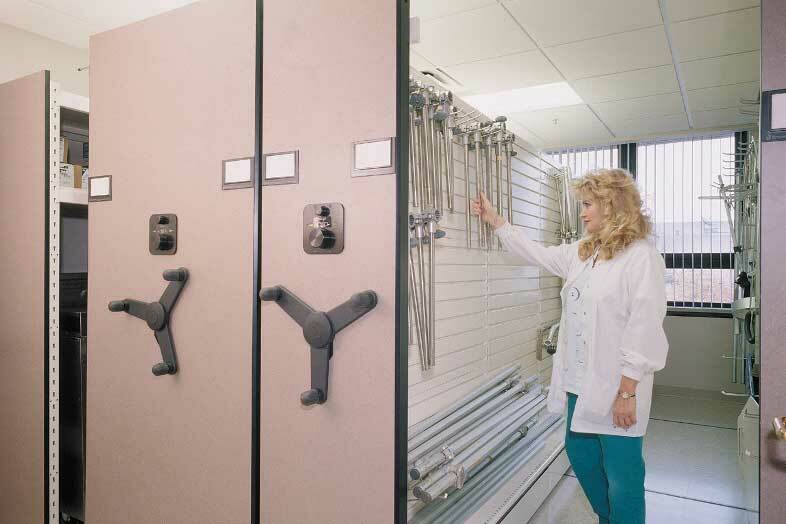 Efficient and space-saving, this system rotates for quick and easy access from either side and allowing for double the depth of tradition cabinet systems for more multimedia and office supply storage.